You say to-may-to, we say to-mah-to. But recently, X-Teamers had the opportunity to pick the brain of a guy, who dedicated quite some time these last few years to study of productivity... and he does not say either of those. He says, pomodoro! I guess it’s safe to assume you’re pretty settled in working remotely. Can you give us a summary of your work habits? What keeps you productive? How do you manage your time? What does a day in Karol Sojko’s “workday” look like? I usually start my day waking up pretty early. I take the dog for a walk and going to the gym for an hour. I try to make my health a priority before I even touch any email or Slack. Then, I proceed to work on those and, after completing all of them, I make a quick note in Evernote about any additional thoughts/remarks I had. Every quick note is automated with Zapier so it ends up as an entry in my journal. In terms of development, I tend to do Pomodoros, if the tasks are bigger or require some special focus on them. Additionally, I'm huge on breaking down tasks into smaller actionable items and quick wins. Additionally, I start every week with posting my full to-do list with a request that people should feel free to ping me to add anything they think is missing. I currently end my weeks with posting the report about what tasks I managed to complete this week. This keeps me super motivated to push the bar and have a good list of things I've done during the whole week. Going even broader, I have quarterly goals and I try to align all ideas in my inbox to those so that they end up being some actionable items one day. During your presentation at 4Developers 2017, you mentioned that you would go crazy, if you had to work remotely from home only. How often do you work at home and how often do you work outside? Do you have a favourite place to work at in the city? Do you prefer cafés or co-working spaces? I always find it a bit difficult to work in a crowded, noisy place. I have something called no-meetings-Wednesdays, which I keep free of any calls, weekly status updates, etc., so Wednesdays are my time for focusing on software development. I usually go to cafés and reward myself with some delicious coffee. I started this routine after reading a great blog post by Ignacio Segura. When it comes to crowded, noisy places, I think you can't stress more on buying good headphones with active noise cancellation. I know BOSE are the hype now, but I didn't want to spend that much money, so I am rocking the SONY MDR-ZX770BN, which are pretty sweet and half the price — good for cafés. When it comes too cooking, it's certainly one of my passions — I like to eat at some good food places here and there, but, on a daily basis, I got really fed up with eating out and that mediocre food, so I mostly cook myself, since it gives me the liberty to make something that is more tasty to me. I'm a big fan of one-pot dishes/stews, so it's always a matter of throwing some veggies into the pot, a piece of meat, seasoning, and let it simmer for 2h while you get back to your work. I always go back to simple recipes like melt some butter and garlic, throw in some spinach, put a salmon on it, and there you go. Cooking is really not time consuming, if you don't do those grandiose dishes — when I have some more time and feel inspired, I'll make something more complex in the evening and I'll make more of it, so I can put it in the freezer and reheat it on those no-time-to-cook days. How do you know that your TODO list for the day is too long? How to strike a realistic estimate? For me, it's generally a rule of thumb — after posting that Plans for Today list every day for quite a while, you'll get a hang of how much you can do. Also, there is nothing wrong with putting too much on there — just prioritize properly, and if you feel there's something that has to wait until tomorrow, don't feel bad about not completing the whole list. I suffer from "Can't Stop Working Until I Feel Like I've Been Productive" — unfortunately this can sometimes turn into 12+ hour days. Any tips on how to ensure you make yourself feel like you've been productive each day, before driving yourself to burnout in trying to reach the feeling? I think this, again, comes down to establishing the game plan every day. That list of plans for today could make you focus on what's the let's say 2-3 items that would most definitely give you a satisfaction factor at the end of the day. Also remember that there are many definitions of being productive. Some people think that it's doing or producing more — so basically treating it very literally and being busy for no reason. I prefer the interpretation that being productive is more about being at peace with yourself and achieving what you set yourself for. So, more about quality than quantity. Identifying what I want to do and accomplishing it makes me feel actually productive. Was there a particular book or another resource that helped things to click for you in respect to getting things done? The 4-Hour Workweek — I think this is a digital nomad bible, not being original here, but this is the book that made me want to work remotely. The Power of Habit: Why We Do What We Do in Life and Business — One of the best books about productivity and developing routines and habits I read. Rework — Very good book (also with "Remote") from 37signals that encapsulates a lot of stuff about productivity, working remotely, running your own business, etc. Rich Dad, Poor Dad — Maybe not necessarily about productivity but a good lesson in finances and life strategies. You are not so smart — So many interesting and fun facts about how our brains work and why we behave the way we behave; helps to understand a lot of things and give a second thought to our own behavior. The Nerdist Way — Cool story, written in a stand-up comedy way with a few productivity hacks from what I remember. The Subtle Art of Not Giving a F$ck — helps to get perspective on the hectic world we live in and to prioritize properly. If you don't have a lot of time I also recommended buying a subscription and listening to books on Audible. This is your life with Michael Hyatt — quite a few good productivity tips — I've taken some of them and spun them into something of my own at some point. Freakonomics Radio — a solid portion of knowledge; sometimes they touch on productivity subjects. Smart Passive Income Podcast — evolves around business and people running them, but you'll get some solid advice from most of the interviews. 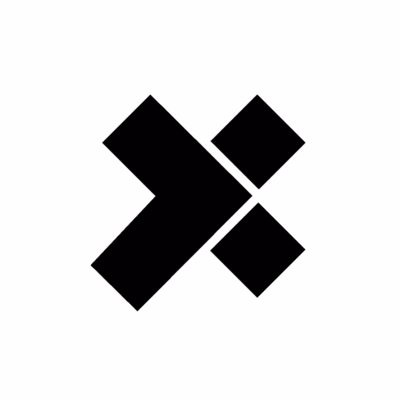 Productivityist — very inspiring interviews with people about their approach to productivity. And with these final tips on further education in the field of productivity, our session with Karol drew to an end. We would be remiss, however, to not also advise you to check out Karol's very own production To-Do: Team! 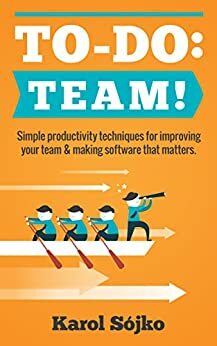 : Simple productivity techniques for improving your team & making software that matters. So much to read/listen/watch, so little time. But, do not worry. Apply the tips from this AMA to applying the tips from this AMA, and, little by little, you will become a more productive, and, more importantly, a happier individual. That feeling of satisfaction after a good day of work is, after all, priceless.